I’ve been trying to write this blog post for far too long – mainly because over the course of the season i’ve had to rewrite it a fair number of times due to the subject matter i’ve wanted to talk about: The Identity of Glasgow Ultimate. Personally, i’ve had plenty of times where i’ve been asked about my hobbies/interests/what happened over the weekend. Mention Ultimate and people either respond with either surprised interest or some form of one-liner. I’m sure we’ve all been there before. However when trying to describe what Glasgow Ultimate is I found that I actually didn’t know all that well; a mishmash of comparisons to other sports, tournaments, leagues and all manner of other explanations that simply didn’t do us justice. Lets talk about our approach to the game. The ‘Ultimate’ in Glasgow Ultimate. Throughout the season i’ve seen all of our players turn up to trainings in pouring rain, grim fitness sessions and general physically abusing our bodies in the pursuit of progressing our team. 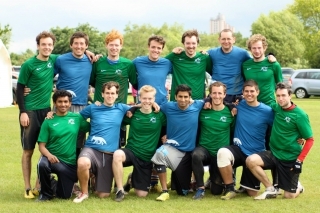 Glasgow Ultimate is a team based on grit and force of will. That doesn’t mean that we don’t know when to let go and have a bit of fun. But, it does mean that our training sessions have been well attended, professionally run and with a particular focus. It means that in the deep lows of a Sunday morning full of broken dreams we think of nothing more than achieving what we can at that moment. Grit and determination is the foundation of sport, a willingness to sacrifice time and comfort, and will give us the bedrock on which to build our team – and our winning attitude. Lets not pretend that it’s been easy this season; it has, however, been one of the best I’ve ever played. We set aims, lofty and ambitious aims, to start up a team – stay in A Tour and get to Nationals. The best thing is, that as we enter this time of reflection on MVPs and highlights of the season, that its the depth of players who carried us all there. Our team is just exactly that, a team. Comprised of more than individuals and greater than the sum of our parts. The ‘ultimate’ part of our name is about our approach to the game. Simply put: We are a team who together play every point of every match with everything. Anything less would let my teammates down. We also like winning. A lot. This however, doesn’t encapsulate everything that Glasgow Ultimate is about. The most important part about our team is the community that we’re in. Glasgow. By choosing to be an outwards facing club through running a number of beginner/taster sessions, participating in glasgow life events and even the summer league, Glasgow Ultimate has shown a statement of intent for the future. We are not only a club that plays an amazing sport well. We’re a club where you can play that amazing sport – and we’ll teach you how to play it well. This gives us two key advantages. Firstly: it raises our profile within the community and also helps us potentially gain new talent. This is an obvious advantage for any minority sport, as many people don’t actually know what ultimate is or even that they can come along and try it! We’re now able to do more coaching in schools, get TV coverage, news reports and generally spread the word. This is a good thing – and a key pillar of our future success. The second advantage is slightly more subtle, but none-the-less just as important. By being attached to Glasgow we have a “home base”. 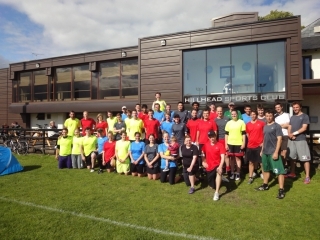 Our trainings, fitness, coaching, socials, meetings and activities are all within Glasgow. This has meant that people that live in Glasgow have a greater buy-in and less barriers when it comes to committing to the team. Something that has been reflected in the numbers to our trainings/social events. It also means that any player looking to play with us knows exactly whats expected of them – travelling through to Glasgow for everything – before coming along. This central hub is the underpinning of our whole identity and indeed, success. Without it we would end up either; relying on “super players” from across the country creating an ever smaller pool of available/willing talent or people with a lot of money to burn. 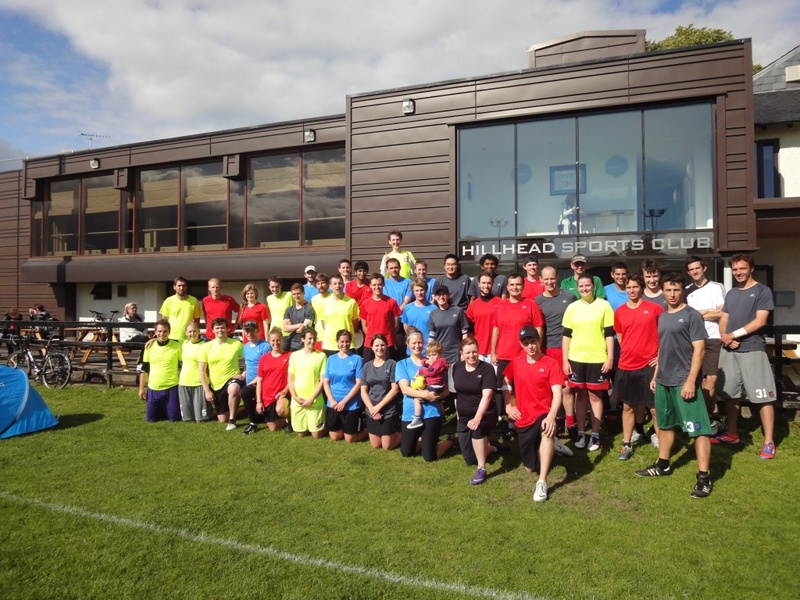 Our hub allows everyone, of all ability levels, to come along to the trainings and get better. It allows a player like me, who has never played in a tournament of a higher standard than university div2, to become an A tour/national squad member of the best club team in Scotland. The community of Glasgow has shown that, if given the chance, we will commit to working hard for our first team place. We will teach others the sport we love. And we’ll make sure that everyone in Glasgow is welcome. Improving the reputation, knowledge and standard of our sport as we go. And personally – I’m proud to say that. Written by Laurie Brown – Glasgow Ultimate Player. There may be noticeably a bundle to know about this specific. I assume you’ve made certain good factors inside features furthermore.